5. 5 Gallons water production line. 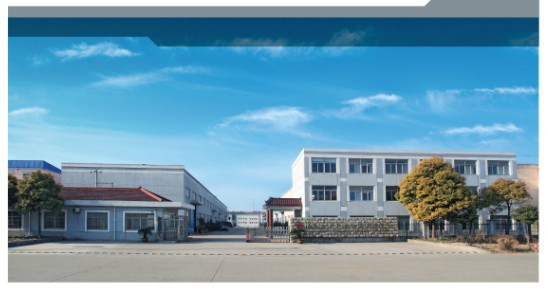 We welcome visit our company anytime! Note£÷The pipe will be prepared by the buyer side. 4£©After-sale service: We provide one year guarantee and life-time technical support. 5£©Installation: we shall send skilled technicians for the installation of the machine with the flight and accommodation charges on your side. Besides, we charge each day USD100/day/engineer. This system is used to treat the water you get from under ground or other place, making it suitable for production of fruit juice drink. To different condition of the source water, the system will be different too. 2. Usage: This device is used to remove the germs, the harmful inorganic ion, and organic ion; remove heavy metals and salt; rearrange water structure. 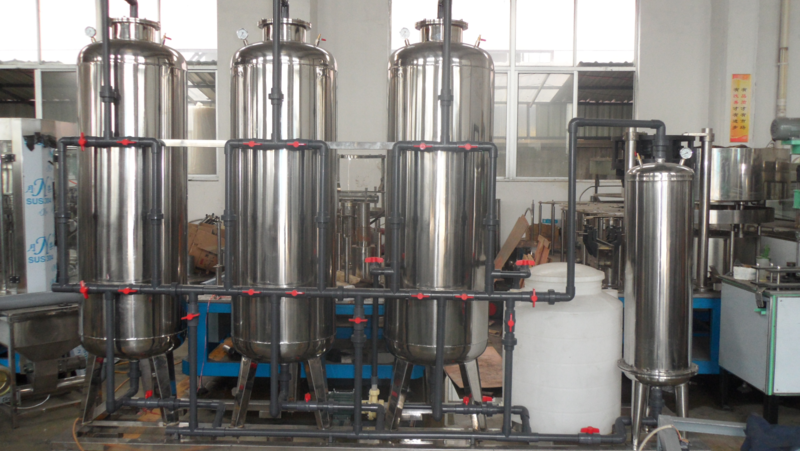 It is the ideal equipment to make high standard pure drink water. Usage: The ultraviolet ray whose wavelength is the 253.7-275nm has the sterilization. So this product uses fully this characteristic of ultraviolet ray to sterilize. It generate the special ultraviolet ray using special ultraviolet ray generator, and then causes water which needed to process and ultraviolet ray full contact with high tech method, in order to major part pathogen like bacterium, the virus, the microorganism, the parasite are eliminated. It�¯s widely used in food industry due to the advanced characteristics. 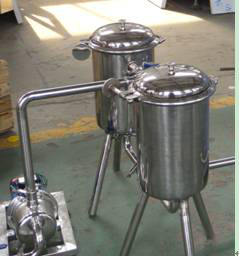 This system is used to mix water, suger and fruit juise concentrate, turning them into juice drink and preparing it for filling. Usage: the sugar melting pot is used for melting the sugar into syrup through heating and stirring to meet the process requirement. 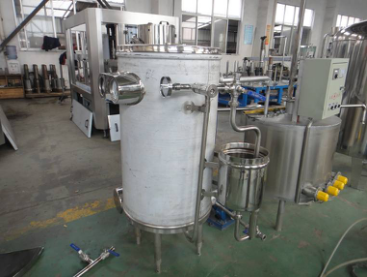 It is widely used in production of fruit juice and carbonated drink. 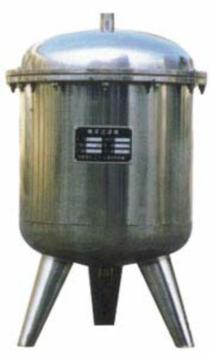 Usage: the syrup filter is used for removing dreg from the syrup made by sugar melting pot. After the flitting the syrup becomes clear and pure. It�¯s essential equipment for the fruit juice production. 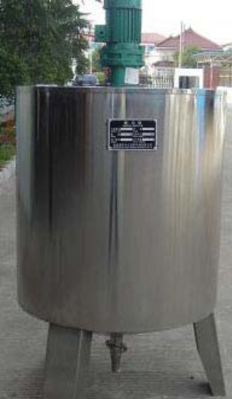 Usage: the mixing tank is used for mixing water, fruit juice penetrate, and syrup together through stirring. 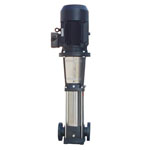 Usage: The double filter are used to flit fresh milk, sugar fluid, drink, liquid cement, Chinese medicine fluid etc to remove each kind of slight pellet impurity in liquid accurately. The two flitting drums can work simultaneously or carry on the filtration in turn, changing flitting net without turning off the machine, specially suitable in the continuous production. It has advantages like flitting quick, low cost , easy operation etc. 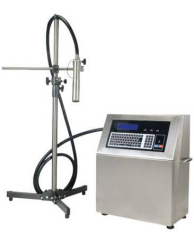 Usage: The GJB stretch high pressure homogenizer is a widely used device for homogenization of liquid and materials. 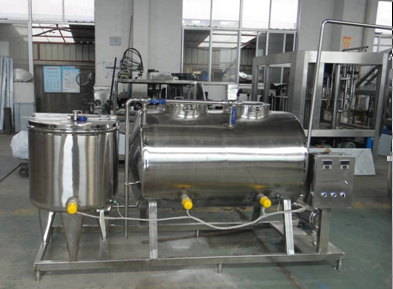 It is widely used in the fields of dairy product, drinks, edible chemical medicine and biological technology. The material and liquid is homogenized under high pressure so as to reduce the delaminating and increase the pureness, looseness of the material and liquid to improve the quality of mixture. Usage: The ultra-temperature instantaneous sterilizer is used to sterilize to the juice by instantaneous super-temperature heating. The temperature will reach between 115�ז and 135�ז, so the effect of sterilization is very good. And the time of sterilization is very short so that the product keeps high quality. 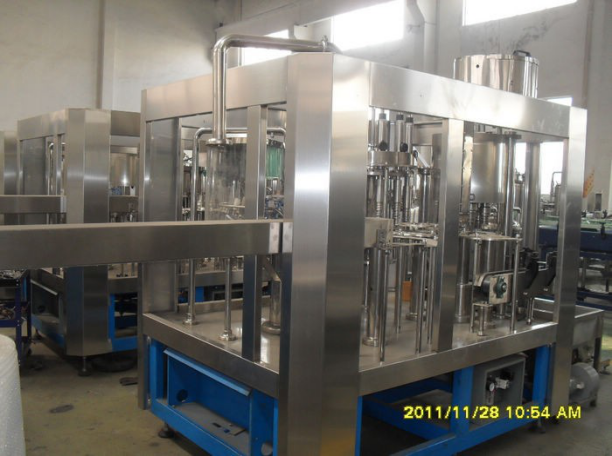 It is widely used in the production of frech milk, soybean milk, juice, beverage, and so on. 2. The temperature for acid, alkali and hot water can be set. 3. The new generation of man-machine dialog operation system can be arranged with certain standard with ray operation. 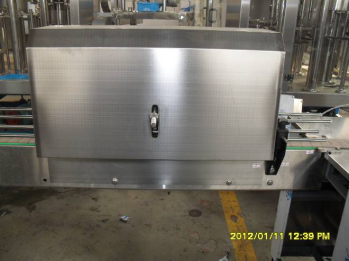 This system is used to fill the fruit juice into the bottles, then pake them into a pake after other necessery processes. 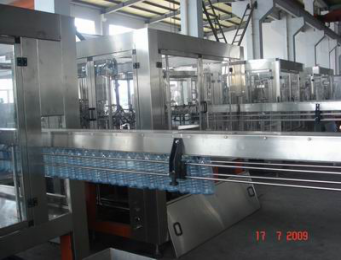 usage: the air conveyor is used to convey the PET bottle into the filling machine, hanging the neck of the PET bottle. 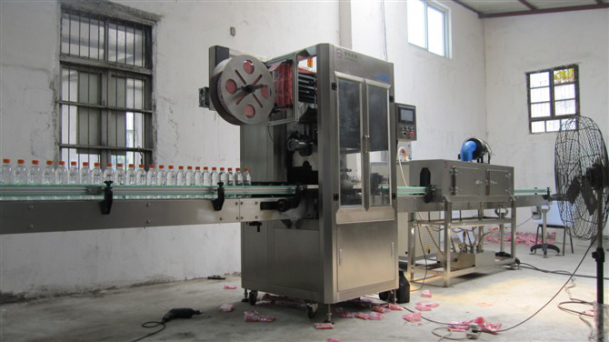 Can connect with bottle blow moding machine, which making PET bottle. 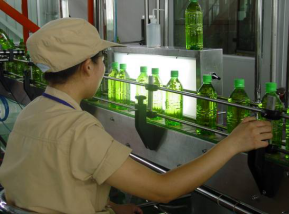 4) Manner of bottle inputting: Bottle handling with air delivering. 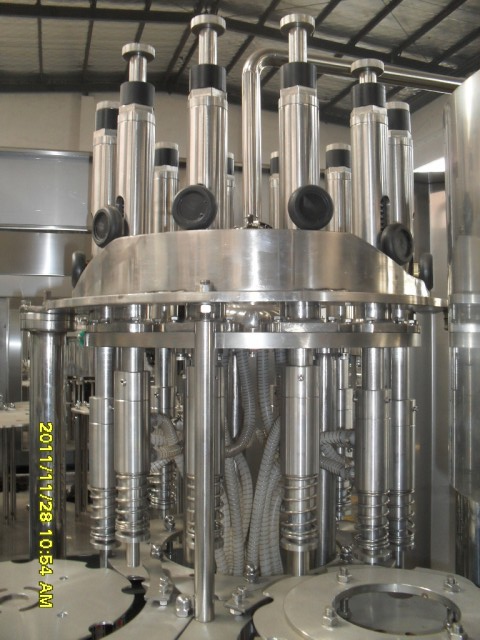 Usage: washing, filling and capping 3 in 1 monoblock is used for filling juice into PET bottle. 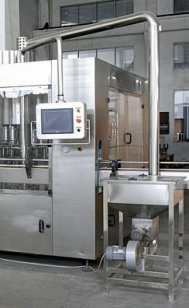 Full automatically; it can finish washing (bottle), filling and capping three jobs in the one machine. 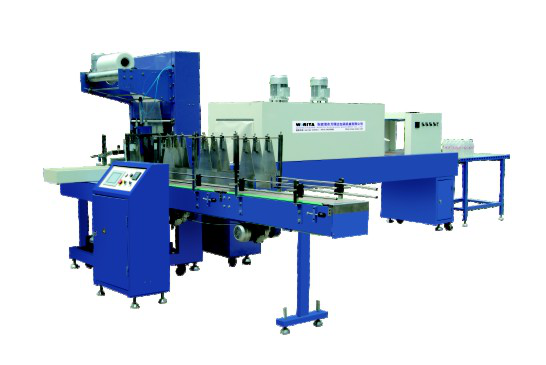 1) Compact conformation, good shape, cozy operation, excellent automaticity and poor labor intensity. 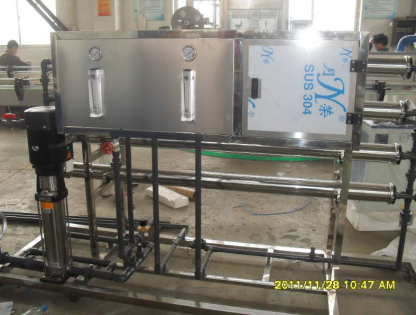 2) Only exchanging �°star wheel�±, �±feeding screw�± and �°arc guide plate�± while exchanging model of bottle to be need. 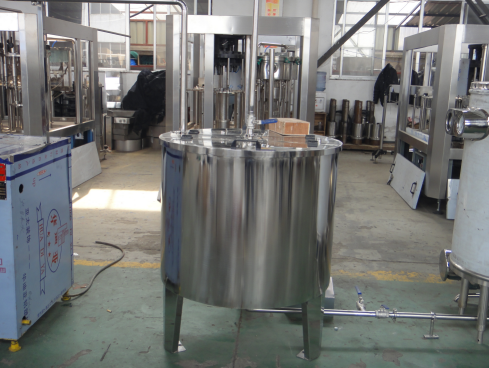 3) The all parts directly contacted with media are all adopted with food stage stainless steel without dead angle, so they can be cleaned easily. 4) Adopting advanced valve to control the inlet flow rate of liquids. 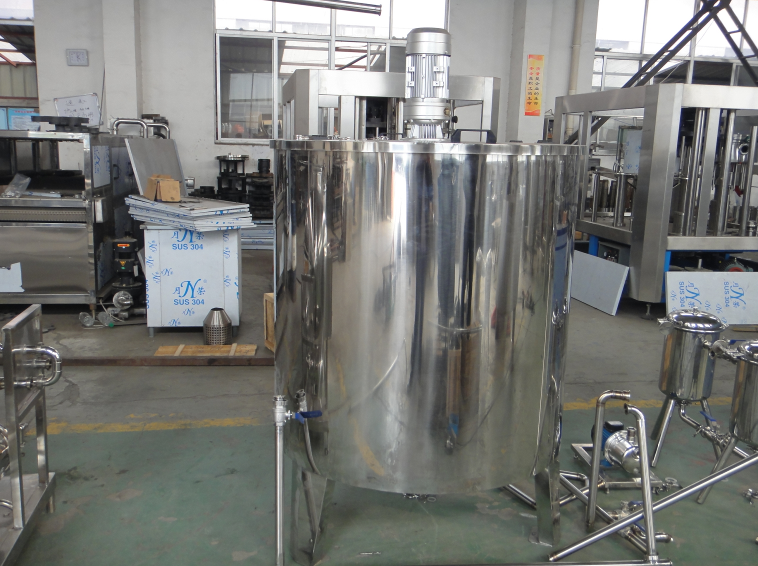 It can keep the slight turbulence of liquids level in the solution barrel and ensure the accuracy in filling. 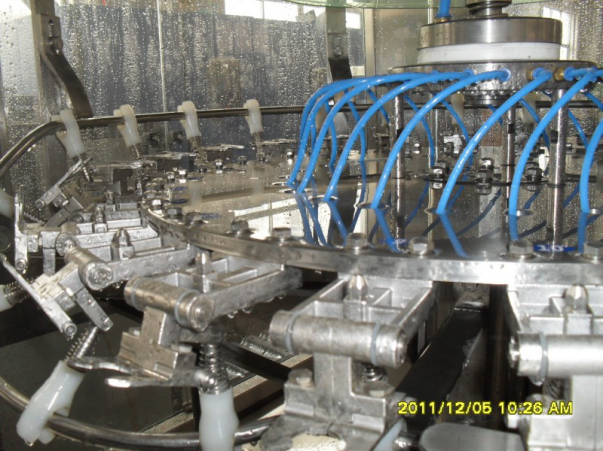 5) Closing feeding valve automatically while no bottle on machine avoiding the loss of aqueous feet. Filling automatically with a high speed and the control of liquids level is accurate. 6) High filling speed and mass flow rate, high precision of filling valve and control of liquids level is accurate and without loss. 7) The �°capping head�± is adopted magnetic-constant-torque device to ensure the high capping quality and without damages. 8) Adopting efficient cap settling system which carried perfect cap feeding and protection device. 9) It is adopted spiral descent fashion for the support plate for bottom of bottle at the outlet thumb wheel. And to adjust the input height is not necessary for exchanging model of bottle. 10) carried the perfect protection system to overload; it can be used to protect facilities and operators efficiently. 11) Because of applying touch screen for operation, it is possible to realize man-machine conversation whereas the status of device running is clear at a glance. 12) The primary electric components such as touch screen\PLC\transducer etc. are all adopted with world famous products. Usage: It is used for conveying caps into the capping machine by blowing. It starts to work automatically when it is lake of cap in the capping machine. 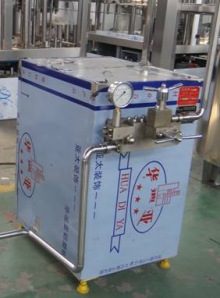 The height and distance of transporting caps, the time of sterilizing can be adjusted as the requirement. 1. Optical-mechanical integration design, Mitsubishi electric control system, easy in operation, work reliably, high automatic degree. 2. Advanced bottle-allocating device instead of the former screw bottle-allocating device. The space between bottles is controlled accurately. No bottle gripped or falls down, milled condition. 3. Man-machine conversation operation, make it more convenient. 4. Auto examination device is applied, if there is no sleeve label signal, the machine will be in semi-sleep condition automatically. decrease running speed and spoilage, prolong the life of machine. in additional, main electric control element apply SIMENS of Germany. making the quality more ensured.5. 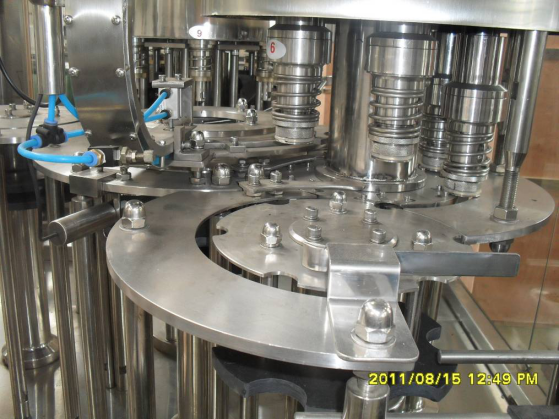 Large application scope, in effective diameter range, round, square or other abnormity PET, glass bottle etc can be used.